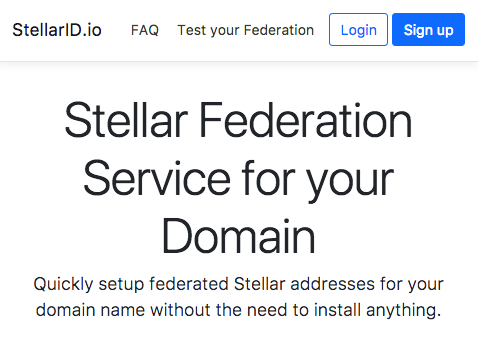 Use StellarID.io to power federated Stellar addresses for your domain without having to set up a federation server or database. Add a domain by clicking the green "Add a new domain" button. Input a domain you own in the text box that appears and submit. 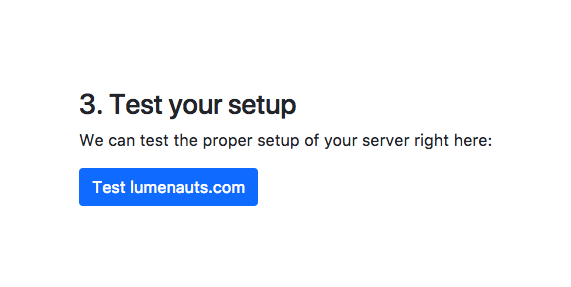 Add your first Stellar address for testing purposes. 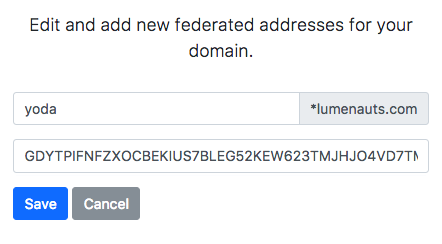 Click the blue "Edit" button and submit your desired username and the associated Stellar account id. 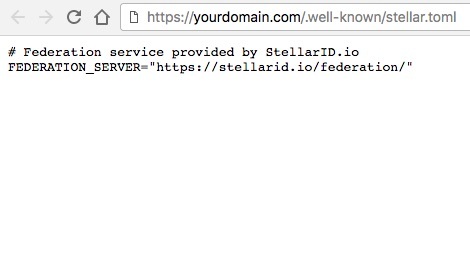 Add a stellar.toml file to your site at https://yourdomain.com/.well-known/stellar.toml that points to "https://stellarid.io/federation/". It's important that you use your naked domain for the toml file URL - Stellar clients will not look for it under your www subdomain. 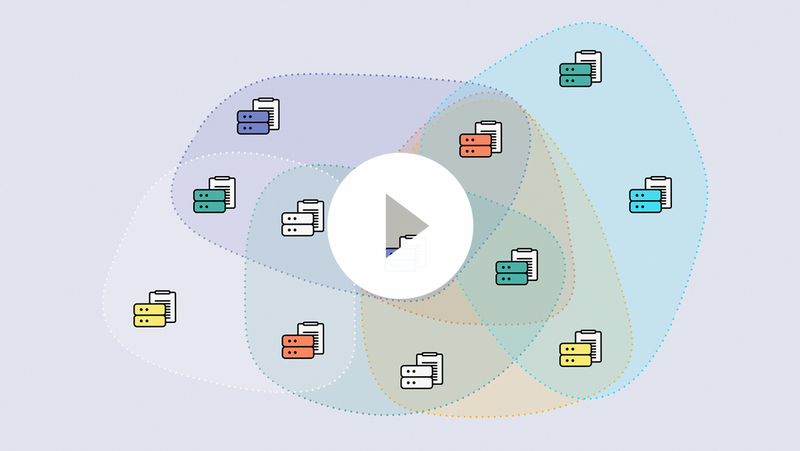 Modify your stellar.toml file/page to enable CORS - cross-origin resource sharing. 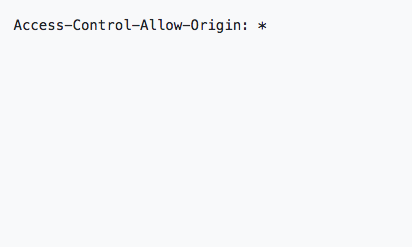 You can do this by adding "Access-Control-Allow-Origin: *" to the HTTP header.